What is Fail First? Who is affected? How can you help? Fail First policies, also known as Step Therapy, are insurance policies which require the cheapest drug to be prescribed to a patient first, rather than the medicine originally prescribed by the doctor. This practice can result in serious negative consequences for consumers and the public health system. 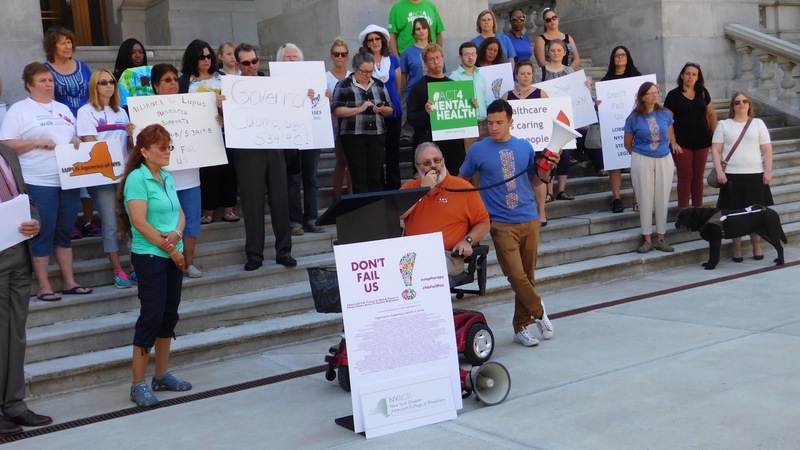 By limiting the medication options, both doctors and patients are forced to compromise their treatment decisions in a way that is dangerous, time consuming and more expensive in the long-term. Often, when a patient’s insurance changes, the new company requires the fail first process to start again. 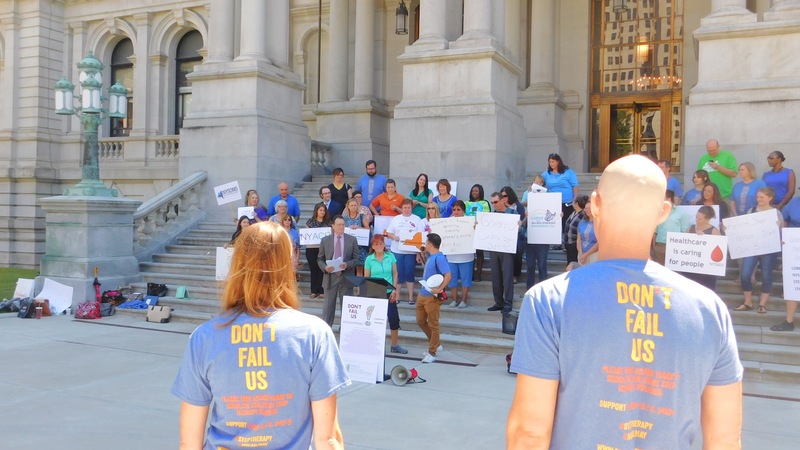 With no limitations, fail first wreaks havoc on the lives of patients with chronic disease and their providers. Patients with chronic conditions such as arthritis, hypertension, high cholesterol, diabetes, sickle cell disease, depression, psoriasis, cancer and COPD/asthma are affected by these practices, because they’re delayed in getting the treatment that their doctor believes will work best. Patients’ support systems can also be severely impacted by the enormous financial burden of multiple medications, as well as the emotional burden of seeing their loved ones suffer through ineffective treatment. 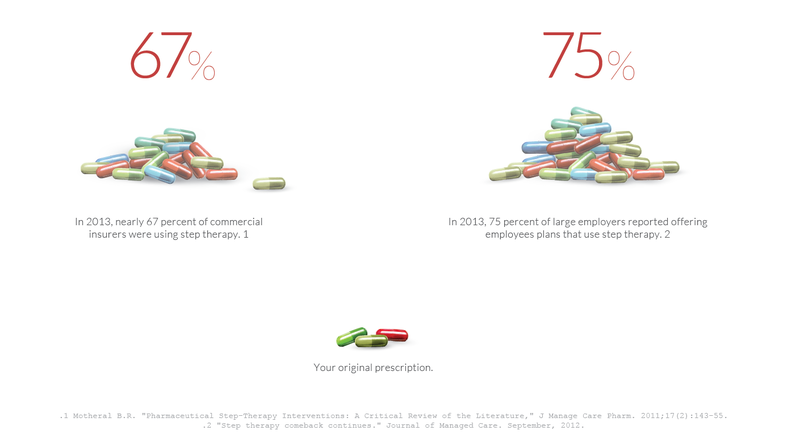 Click here to read an important op-ed on step-therapy's impact on patients' health. Kathleen Arntsen of The Lupus and Allied Diseases Association details her experience of fighting to get lupus medications approved by the FDA, only to have step-therapy policies prevent patients from getting access to a medicine that could have helped treat the symptoms of a serious health issue. Doctor’s offices are harmed as well. When a prescribed drug is denied, physicians must appeal to the insurance company, often multiple times over days or even weeks, wasting valuable time that could be allocated to patient care. There are currently no time limits or restrictions placed on these Fail First policies. Many insurance companies want patients with serious medical conditions to prove that cheaper and often less effective treatments have failed to adequately manage their condition. This can go on for an indefinite period of time before the drug initially prescribed by the physician is approved.When a patient’s insurance changes, the new coverage provider will often force the Fail First process to start again. Even after finally gaining access to the original medication, it can be taken away without warning due to lack of fail first regulation. 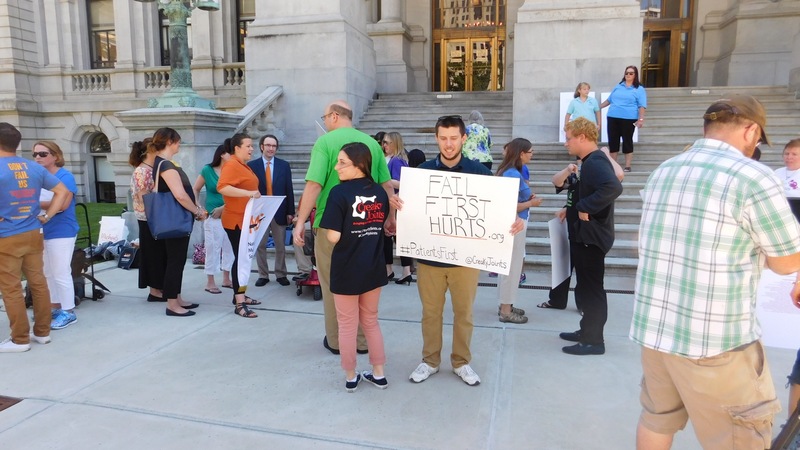 Several states agree that fail first policies dangerously intrude on patient safety. As well as the confidential patient/physician relationship, and they have introduced legislation to prohibit this practice. California, New York and Missouri have legislation pending, and several other states are drafting or considering legislation to prevent insurance companies from needless interference. Fail First practices weaken the doctor / patient relationship by negating the healthcare plan that they created together. Patients who are living with chronic illness cannot afford to waste time on health plan preferred medications if they are ineffective. We believe that patients and their providers should work out a treatment plan without interference. Any delay in proper treatment can result in severe complications. Delaying access to necessary medications can be costly and have devastating repercussions for patients that need to focus on improving their lives. They should not have to fight with their insurance company to get the care they need. Patients need a voice in all conversations that relate to our access to treatment, safety, or the quality of our care. This community is made up of patients living with diverse chronic illnesses, including rheumatoid arthritis, lupus, and psoriasis, and the people who care about them. The 50-State Network is about transforming pain into purpose, empowering those that may feel victimized by disease. 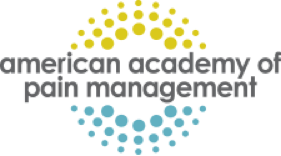 Our focus is on repurposing the energy of frustration, despair, and helplessness into positive mobilization, action, and fair representation to benefit all of us. Our formula, which we offer to our fellow patients and their loved ones, is to take lemons and make lemonade.